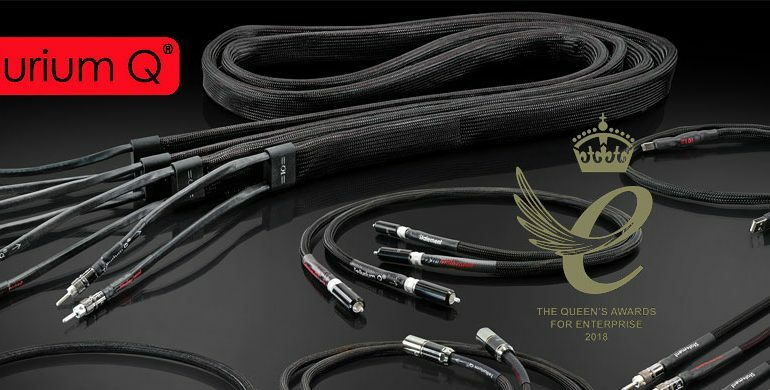 Tellurium Q Cables – High End Audio & The Queen’s Awards 2018 ! 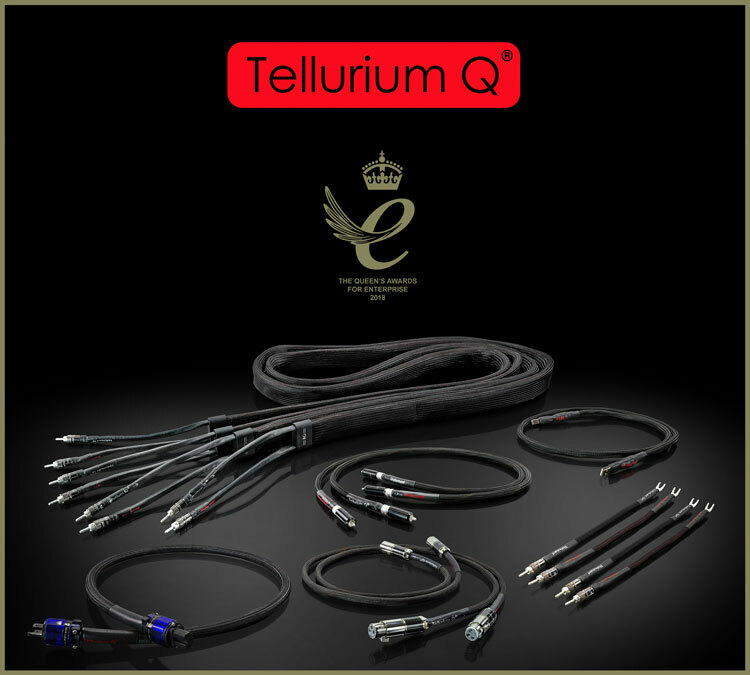 TELLURIUM Q Cables Awarded ! Who ever said that music had only one place in the world? Entertainment. Looks like even the most doubtful will have to accommodate to the new era of what the industry does for the world. It had started with concerts like FIRST AID, which changed how we saw musicians and their work. Using all their power to wake up the world to problems which stemmed from South Africa, to help fans become aware of atrocities worldwide. The money that was raised and that is still being raised today, through concerts and various funding from musicians, has come a long way. It has never been until recently that we have a cable maker, at least to my knowledge, (other than very large companies such as NAIM), do so much for its country, and the people who work with this firm. We never think of high-end consumer products as a commodity. When I first heard that Tellurium Q is on its way to Buckingham Palace I immediately thought it was going to become a serious business indeed. We are talking major implications for them, or any great manufacturer. It has, or had never occurred to me, that this, very personal hobby, can turn into a benefit for others who are outside of this industry, although they all love music. They live in a bliss outside out mindset. Now it seems fitting to say that even Buckingham Palace will have something to think about in the very near future, especially when the Prince of Wales hears music in his own home. NOTES FROM THE RECIPIENT. Below you will see some notes jotted down from the CEO of Tellurium Q, but as I have met the people – his incredible spouse and himself, I would like to subjectively interpret what I read and thought of leading to the event itself. Now this is my take on what really happened. This SKIT for entertainment reasons only, trying to imagine how thrilled the couple felt when they first heard and when they went to Buckingham.Geoff uses his stiletto given to him from Chameleon Audio, a new amalgamate with metals only the ancient Greeks new of, and opens a heavy envelope. It was not glued but rather stuck together with some type of thicker plastic, making it look like more official than a normal letter does. After the first swipe, eyes from the left to the right quickly read the invitations and there is a frown on Geoff’s face. Geoff: Pam, did you send me this mail this morning? I found something from Buckingham Palace. Is this your way of saying you want to go for some shopping dear? PAM: That’s funny, I thought you said Buckingham Palace has a sale dear? Are you well? 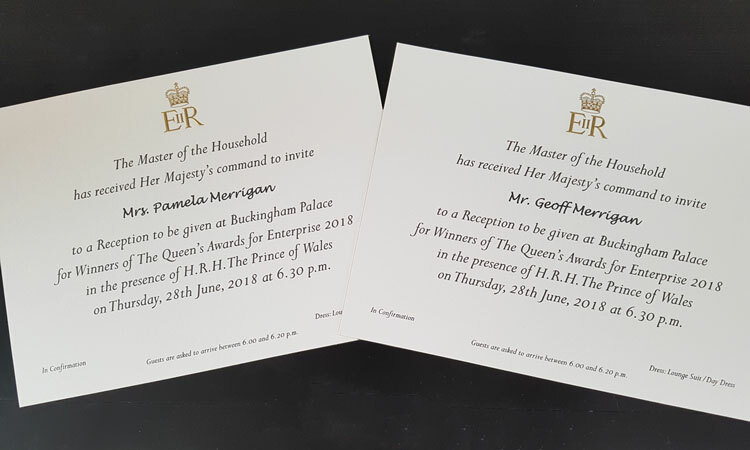 Geoff: No Pam, I am serious, did you make up these invitations to go to Buckingham Palace? PAM: There must be a mistake if our names are on it, is Linette playing a joke on us again? Those PIGS! Geoff: No dear, they are actually original, the paper is from papyrus and from my calculations seem to agree with the age, colour and smell of the envelope. The edges are perfect, while I believe while examining the invitation I found some fingerprints, but I will have those checked up from the inspector immediately. Stuart would have to do an amazing job to trick me this time. PAM: Okay dear, now your getting me worried. The day continues and as it does, there are questions randomly being thrown at Stu and Linette, a few at Jeff Dorgay at Tone Audio, and of course none to myself. We all know I would never play jokes about Buckingham! Geoff, starts to look up the event on the official site, and knows this way, if ever, he would either see his companies name, or not. He does, and realises this was no joke at all. 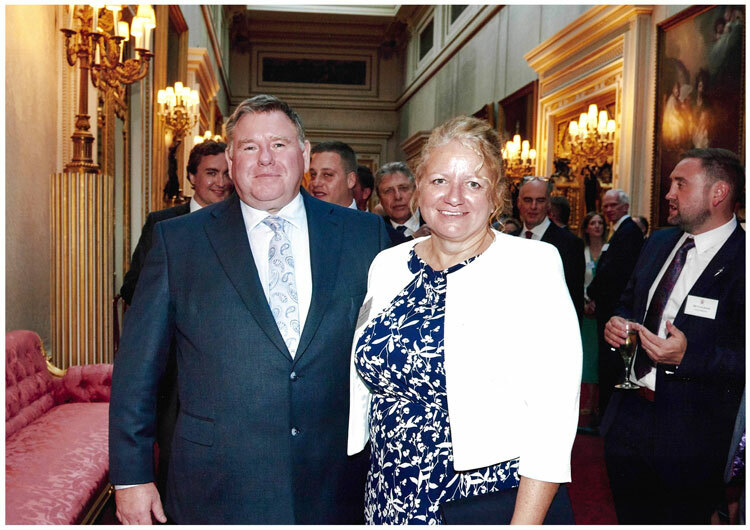 After NAIM, he and his company are going to Buckingham palace to receive an award. Geoff needs a stiff drink. The door of their lovely 22 room home closes. Geoff walks up to Pam and but first offers his jacket to the butler. 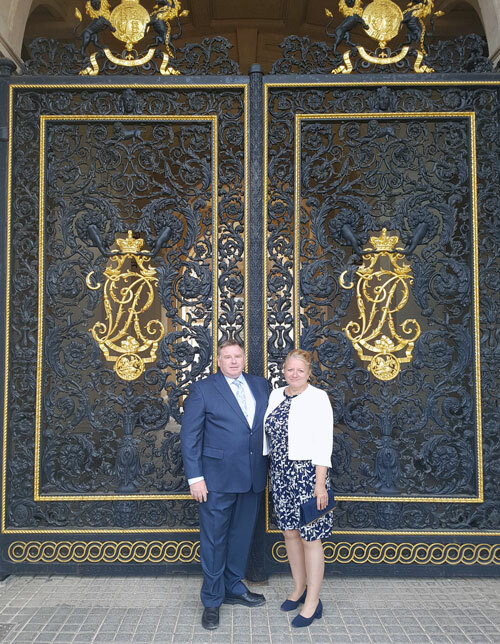 Geoff: Pam, we are going to the Palace. Buckingham Palace. 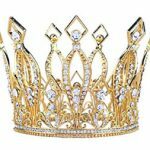 We are not going to see the Queen, but something more important has come up. The Prince of Whales will be rewarding us with the Queens award himself on the 28th, at 6:30 pm. PAM: Thinking out loud, I wonder if they have Irish potatoes accompanying dinner, I do miss those somehow. Geoff: I am serious PAM, WE have won an award. He shows the invitation to Pam. She immediately smells it for any clues or fresh glue, tries to smear the ink, and finds it perfectly intact. She responds. PAM: I cannot believe it, we are not a huge multimillion pound company, what does England get from US? Geoff: I guess we will see. After all the work, the very happy people using our products, there is more than just numbers to be gained after all to the government. Of course, nothing of the above is true. Or if it is, it is a total fluke. Yet the fact (thus undeniable truth remains) that what these two people have accomplished, (along with their R&D team, and everyone in that factory) is a milestone in the industry not only in the UK but worldwide. It is very difficult to convey what I personally know, and how much I respect the two people I just mocked about in the stupid skit above. Geoff is FAR from being just another cable manufacturer and Pam is not just another spouse making coffee at the office. These two people, yes, there personas, the amount of work they put in, not only in what they do today, but from a very young age, has made them into what they are today. Perfect contestants for the Man and Woman of the Audiophile World, (year 2 since its formation), here on Hiendnews. Very uncanny (why uncanny? Let’s try a more fitting expression) as it might seem (Uniquely? ), we have two very well-rounded people, who know science, business, philosophy, literature, sports, entertainment, every aspect of what a well rounded person should be. And yes, even an in-depth knowledge of psychology, and not just readers of the few articles up on the Internet, or some fancy book that explains it all with one theory. Here we have two audiophiles making it against most odds in any industry, with an exceptional track record, and a future that the stock exchange would want to ride the train of. So, all jokes aside, here are the few pictures I was allowed to have and Demos has put up on hiendnews Greece. 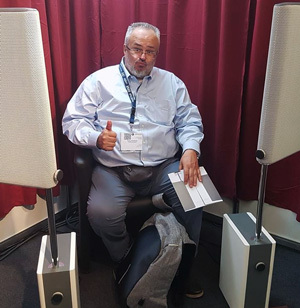 I wish others in the industry involved, now feel proud to be an audio enthusiast and congratulate a small company that makes it big, where it counts. Yet here we have two audiophiles making it against most odds in any industry, with an exceptional track record, and a future that the stock exchange would want to ride the train of. So, all joking aside. Here are the few pictures I was allowed to have and Demos has put up on hiendnews. I only wish others in the area involved now feel proud to be an audio enthusiast and congratulate a small company that makes it big, where it counts. Everyone please lift their glass, pick up a cigar and may the high end turn leaf from today on. Part II coming up !